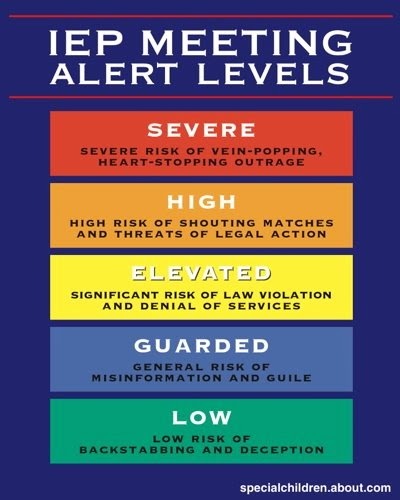 IEP meetings can be very stressful--especially if you feel that your child is misunderstood and other parents have told you to expect a fight. As a mom who has attended IEP meetings since 1998 for my own kids and sat in on countless others through my work at AANE and helping friends, I've noticed that these key tips can help you leave the meeting in a more hopeful state. Try them out at your next meeting and let me know if they help! 1.) Ask for an agenda or provide one to the team chair. Think about what's most important to discuss with your team and if that isn't on their agenda, let them know ahead of time that you'd like to include it. 2.) Clarify how much time you will have for the meeting. If there isn't enough time to cover important concerns it is okay to request another meeting to continue the conversation and make decisions about your child's plan. 3.) Think about your triggers. What sets you on edge in your child's meetings? Is it a particular person, subject or phrase? In my case, it was when a teacher told me that labeling my child with a disability was holding him back and hurting him. I don't remember exactly how I responded, but I'm pretty sure it was loud and filled with fury. It's okay to ask for a break or be silent for a moment while you take a few deep breaths. 4.) Organize your own thinking and priorities. It's easy to feel overwhelmed when you don't have a sense of what to focus on or what's most important to put in place for your child. Review current evaluations, your child's strengths and needs, and make a list of needs you want to talk about. If a team member says, "We don't do that", try responding with, "You haven't done it yet. It doesn't mean it's not possible. How can we individualize his program to meet his needs?" If a team member says, "We don't think your child needs that level of support or services", try responding with, "It sounds like we're in disagreement about what my child needs. I think we need more information to better understand his academic and functional needs." If a team member says, "We don't have anybody on staff who can provide that service for your child", try responding with, "It sounds like it might be time to find an outside consultant who has the skills to do the work." If a team member says, "We don't see the needs in school", try responding with, "She isn't generalizing skills into other environments. Demonstrating a skill in a small group setting is necessary but not sufficient." If a team member says, "You need to sign the IEP today so we can start providing services", try responding with, "I need to take this home and review it. I will get it back to you before the deadline." If a team member says anything else that upsets you, try responding with, "I'll need to think about that and get back to you." You can also say you need a break. 1.) Do something relaxing.Team meetings can take a toll on parents (and teachers). Please take care of yourself afterwards. 2.) Send a follow up email to your team. I usually wrote an email that stated, "This is my understanding of what we agreed to and what is still to be decided. Please let me know if there are any corrections needed." 3.) Do something fun with your child. Choose something you and your child will enjoy together. It's important to take a break from thinking about the meeting and put your energy into positive time with your child. 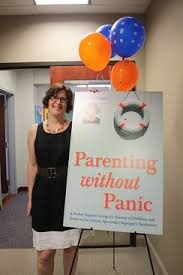 Brenda Dater, MPH, MSW is author of Parenting without Panic: A Pocket Support Group for Parents of Children and Teens on the Autism Spectrum (Asperger’s Syndrome). She is also the Director of Child and Teen Services at AANE (the Asperger/Autism Network), where she teaches workshops, facilitates support groups and provides consultations for parents, grandparents and professionals. She attended the University of Michigan where she received a Bachelor’s degree in Psychology and Masters’ degrees in Social Work and Public Health.